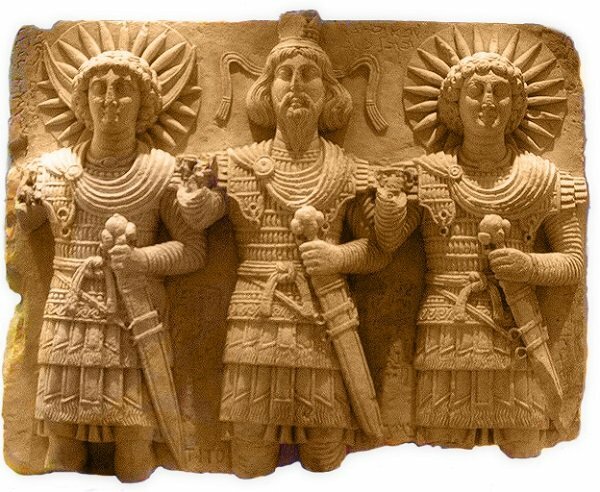 Here’s a quick stop-motion movie of the Temple of Bel, Palmyra, in four powerful frames. The Temple was originally gloriously decorated.. 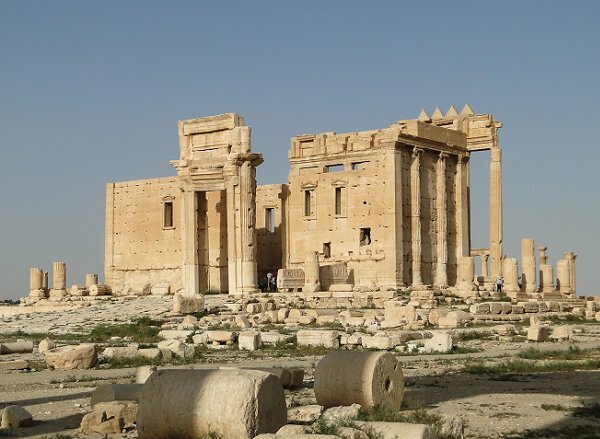 The Temple was, in fact, until recently, an impressive ruin..
That’s the Temple of Bel, Palmyra, Syria, in a photo by Bernard Gagnon, GNU license. 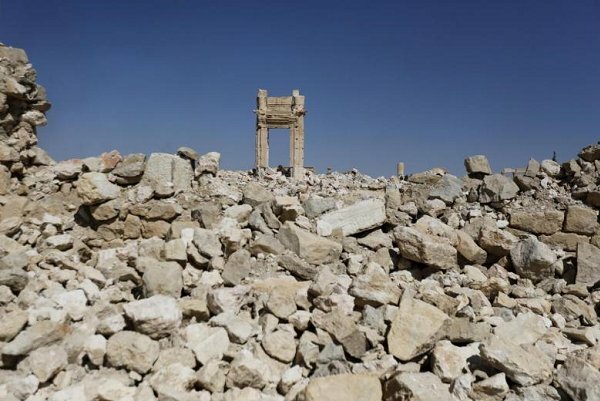 But then ISIS used explosives for a sacred demolition..
…and now there’s not much remaining of the glory..
End of film, end of story — setup for the point I want to make. Stuff gets made or born, stuff lives or exists.. stuff dies, fades, crumbles, evaporates.. sometimes stuff is reboorn, salvaged, gets a second life.. Consider the great temple of Angkor Wat, buit by Khmer artists, partly destroyed by centuries of weather and overgrowth, pock-marked by the bullets of insurgents & army.. now given a second life as a tourist destination.. Consider Tibetan mandalas, chalked out in detail, painstakingly painted in sand, then swept away, proof of impermancence.. In rebellion against the old religion and the powerful priests of Amun, Akhenaten ordered the eradication of all of Egypt’s traditional gods. He sent royal officials to chisel out and destroy every reference to Amun and the names of other deities on tombs, temple walls, and cartouches to instill in the people that the Aten was the one true god. 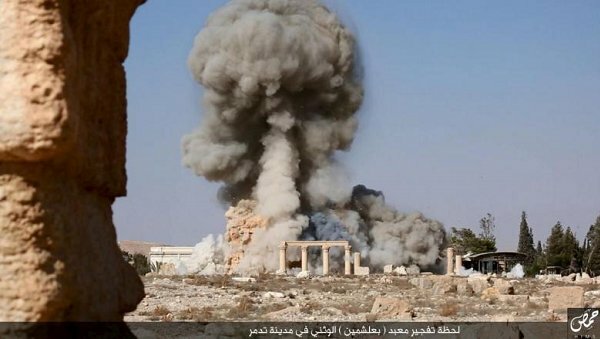 — in a manner that calls to mind some of ISIS excesses, their destruction of the Temple of Bel, for a recent and striking instance. That’s from England — which suffered under Cranmer (Reformation) and Cromwell (Civil War), both of them politically influential Puritans.. who between them made ruins of many British abbeys — think Glastonbury, Fountains, Walsingham..
Well, all that’s background, simply to establish that time’s river allows for the buildup by a wide variety of means and sweeping away of all manner of things animate and ootherwise, in a continual flux, a continual emergence, a continual impermanence..
My point is that the thief of Pittsburg’s unique and valuable book antiquities deprives us of treasures of the mind in much the same way that ISIS does with its explosives in Palmyra. In the latter case: impassioned religion; in the former: simple greed. Appraisers discovered missing items and books that had been “cannibalized,” with entire portions removed, according to the affidavit. is charged with theft, receiving stolen property, dealing in proceeds of illegal activity, conspiracy, retail theft, theft by deception, forgery and deceptive business practices. 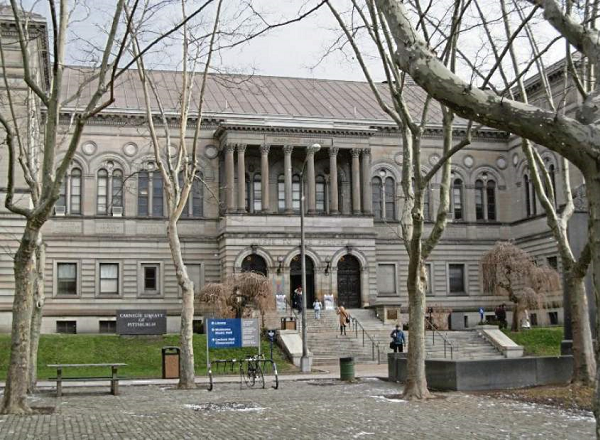 Items of high value and greed, idolatry and iconoclasm — the cutting up of books from the Carnegie Library of Pittsburgh including a copy of Newton’s Principia is nend ot in the too different from what ISIS’ Kata’ib Taswiyya batallion did to Palmyra. 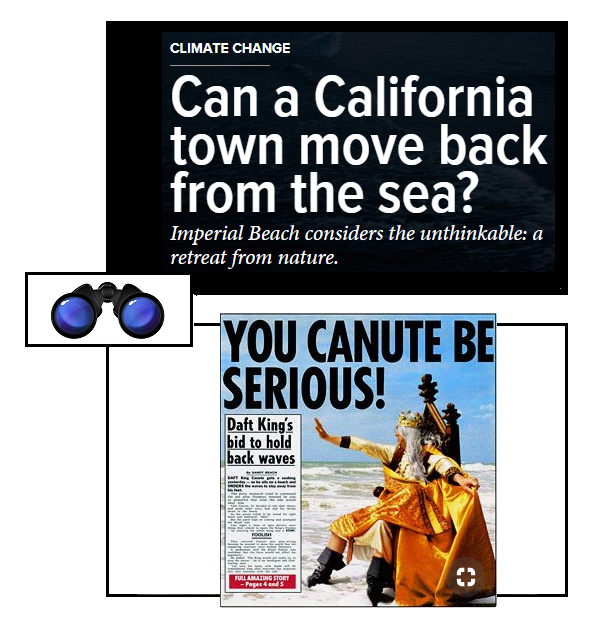 Not too different, either, from the activities of Tibetan monks.. or, I suppose, wind, rain, and a thousand years..
Three books in one day — splendid!! The Corbin is simply the most dedicated book on spirituality I would take with me if I could, and which I’d dearly love to crack. Marina Warner was a stellar presence in the cafe I frequented in Little Clarendon Street in Oxford, and hijacked me once to help paint her new digs. And the Range? It’s a book I’ve long wished to read and finally, here it is. 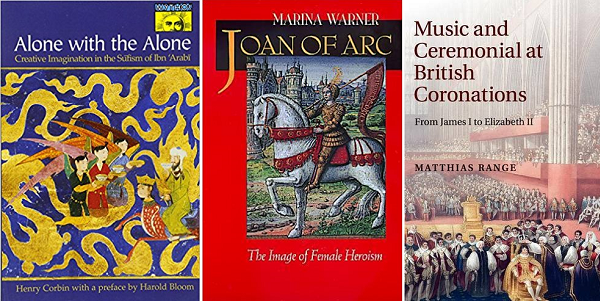 Posted in book, ceremonial, Charles Cameron, coronation, creativity, historians, history, imaginal, imagination, Islam, music, poetry, recommended reading, sufi, Uncategorized | Comments Off on Three books in one day — splendid! !